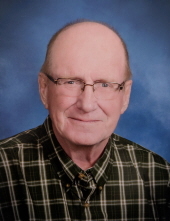 Charles “Chuck” W. Krenik, age 70, of Morristown passed away on Friday, January 25, 2019, at Mayo Clinic Hospital, Methodist Campus, Rochester, surrounded by his family. Funeral services will be held on Friday, February 1, 2019, at 10:00 a.m. at Peace United Methodist Church, Morristown with the Reverend Elden Eklund, officiating. Interment will be at Riverside Cemetery, Morristown. Visitation will be at the Boldt Funeral Home, Faribault on Thursday, January 31, 2019, from 4 to 8 p.m. and also at the church for one hour prior to the services on Friday. Charles W., the son of Sylvester and Vera (Braford) Krenik was born on August 7, 1948, in Morristown. Chuck graduated from Morristown High School in 1966. He married Sharon Friesen on April 1, 1967, in Faribault. He was formerly employed by Lake Country Community Bank, Morristown, and W. E. M. Schools. Chuck enjoyed spending time with his family; watching T. V. and sports; and collecting toy tractors. He is survived by his wife, Sharon; five children, Robert Krenik of Morristown, Catherine (and Dave) Morris of Morristown, Connie (and Jeff) Koerner of Faribault, John (and Danielle) Krenik of Morristown and Matthew (and Gabrielle) Krenik of Faribault; 17 grandchildren; two great-grandchildren; and one sister, Doris (and Larry) Weinberger of Warsaw. He was preceded in death by his parents; and one son, Joseph Krenik in infancy. Visit boldtfuneralhome.com for information and guest book. "Email Address" would like to share the life celebration of Charles "Chuck" W. Krenik. Click on the "link" to go to share a favorite memory or leave a condolence message for the family.